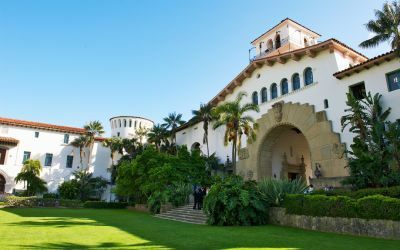 Each Year, UCSB Arts and Lectures hosts a free outdoor movie series each Friday evening in the summer at the Santa Barbara County Courthouse. This years theme is Animation! For a truly local experience, pack a picnic dinner and head to the Sunken Gardens at the Courthouse to watch a fun family film. Arrive before dusk, movie starting after dark.